Acupuncture treatments are enhanced in combination with Chinese Herbs (usually in the form of a “tea”). A formula may be prescribed to prolong the effectiveness of acupuncture between treatments. 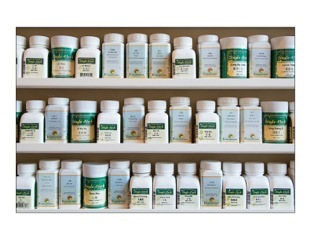 Like acupuncture, herbal formulas treat a wide variety of symptoms while stimulating the body’s natural healing process. They can be used to strengthen a weak constitution, alleviate cold and flu symptoms and relieve constipation. Ask Jennifer if a formula might help with your particular condition. “It is impossible for Qi not to circulate.